The Walking Dead returns this Sunday. What are your thoughts on the Twitter Q&A? Are you looking forward to the return of The Walking Dead? 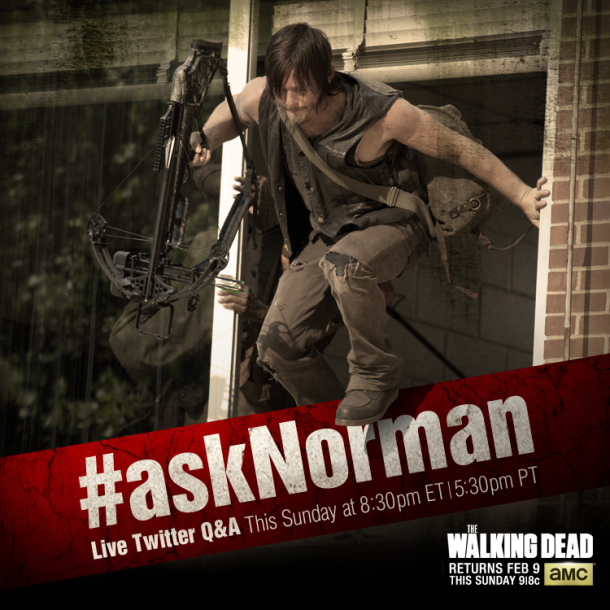 What would you ask Norman? Leave your thoughts in the comments below.